Edgar Payne ­- I buy Edgar Payne oil paintings. Edgar Payne was born in Washburn, Missouri and became one of the foremost plein-air landscape painters of California in the early 20th century. He is best known for his majestic Sierra Nevada Mountain scenes, and depicted so many Indians on horseback riding through the Sierra Nevada Mountains that a mountain lake, Lake Payne, was named for him. Edgar Payne painted many works "en plein air" and also did numerous sketches from which Edgar later did studio paintings. Payne worked quickly and completed about one painting per day. 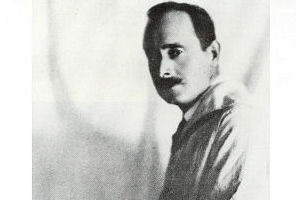 Edgar depicted many other locations as well including the coast of Laguna Beach, the Canadian Rockies, the French and Swiss Alps, the Italian and French Riviera, fishing scenes of Italy and France, and landscapes in the Southwest including the Grand Canyon and Canyon de Chelly in Arizona. Edgar Payne was active in Chicago early in his career and there had a distinguished reputation for painting stage scenery for famous actresses and for mural painting. Edgar left home at age 14 because his father objected so strongly to his son's dedication to an art career. He earned money painting houses, stage sets and murals, and traveled through the Ozarks, Texas, Mexico and Chicago where Payne received a major commission from the Congress Hotel for an 11,000 foot mural of Italian gardens. 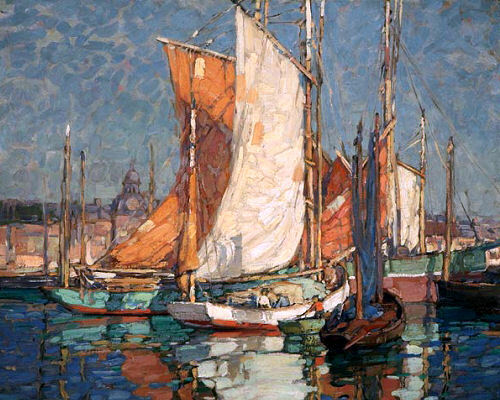 In Chicago, Edgar Payne was active with the Chicago Society of Artists and the Alumni Association of the Art Institute. Payne was self-taught except for a brief period at the Art Institute of Chicago. Of Edgar's art education, his daughter said: "My father never studied with anyone. He tried the Chicago Art Institute for a little while, but he didn't like it. Edgar Payne considered himself to be completely self-taught." In 1909, Edgar Payne first visited California and painted scenes of Laguna Beach and San Francisco. 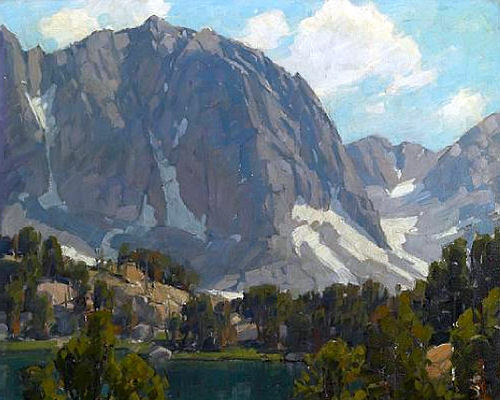 During this time Payne discovered the beauty of the Sierra Nevada mountains, where Edgar returned continually throughout his career for the inspiration that led to his signature paintings and a turning from murals and stage sets to landscape painting. Edgar Payne married artist Elsie Palmer in 1912, and the couple with their daughter, Evelyn, born in 1914, moved to Laguna Beach. They rented a beach-side cottage while Edgar built a home, which was the only one the family ever owned. They lived in it for three years, and it was a uniquely stable time for the family that traveled frequently in search of painting subjects. Payne decided he wanted to have an art gallery for exhibiting artists, and in 1920 Edgar became the founder and first president of the Laguna Beach Art Association and the Gallery of Laguna Beach. The first meeting was held in his studio. The Paynes later moved to Los Angeles so they could be closer to the Stendahl Galleries, which was in the Ambassador Hotel and represented Edgar Payne's work. In 1916, the Santa Fe Railroad commissioned Edgar to paint the Southwest, and the couple spent four months in Canyon de Chelly. They also traveled and sketched the Grand Canyon and scenes of New Mexico and spent several years, 1922 to 1924, in Europe. Payne had a commercial artist friend, George Evans, who visited them in Europe, and according to Payne's daughter, Evans and the Paynes spent much time looking at artwork in museum. In the 1923 Paris Salon, Payne won an Honorable Mention, which was significant recognition because more than 7000 paintings were exhibited. During the Depression, Edgar Payne took teaching jobs to earn money for him and his family, and Payne also wrote his book, "Composition of Outdoor Painting by Edgar Payne", which, with many printings, has been a popular guide to landscape painting. He and his wife continued to spend much time in New York City and had planned to build a house there, but did not start the project because of the economy. Edgar Payne is represented in many museum collections, including: Nebraska Art Association, Lincoln, Peoria Society of Allied Artists, Herron Art Institute, Municipal Art Commission, Janesville (WI) Art Association, Indianapolis Museum, Laguna Art Museum, Bancroft Library, UC Berkeley, National Academy of Design, National Museum of American Art, Washington D.C., Pasadena Art Institute, Pasadena Art Museum, Southwest Museum of Los Angeles, Springville (UT) Museum of Art, University of Nebraska Galleries, Art Institute of Chicago, Oakland Museum; Irvine Museum, CA, and the Fleischer Museum, Scottsdale, AZ . Edgar Payne biographical information has been provided by Evelyn Payne Hatcher, Plein Air Magazine, June 2004 Donald Hagerty, Leading the West Edan Hughes, Artists in California, 1786-1940 and other media. EDGARPAYNE.us is interested in purchasing all oil paintings and watercolors by Edgar Payne. If you have a painting by Edgar Payne and are interested in selling it or simply wish to obtain an estimated value, please get in touch and we'll provide a free art evaluation. © EDGARPAYNE.us. All rights reserved. No unauthorized use of images or content.